The Seahawk evolved from the Sikorsky-built UH-60A Black Hawk which is operated by the Army. The SH-60B has dramatically improved maintainability and reliability characteristics with advanced crashworthiness and survivability over any helicopter in the Navy's inventory. Its avionics/electronics package, of course, sets the Seahawk apart from all other ASW helicopters. The Navy has also acquired a modified version of the Seahawk as its CV ASW helicopter to replace the SH-3H Sea King. The SH-60F operates from carriers to protect the inner zone of a carrier battle group from submarine attack. The first production model was delivered in late 1986. A third Seahawk variant, the HH-60H, also deploys on carriers and provides combat search and rescue as well as Special Warfare support. 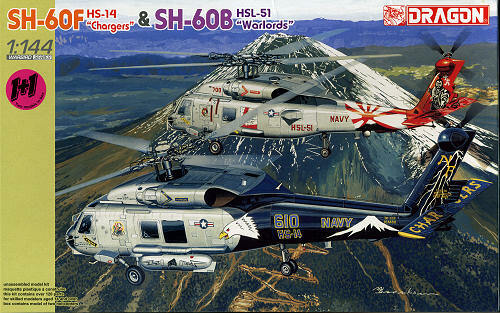 This is one of Dragon's double kits that includes an SH-60B and an SH-60F Seahawk. 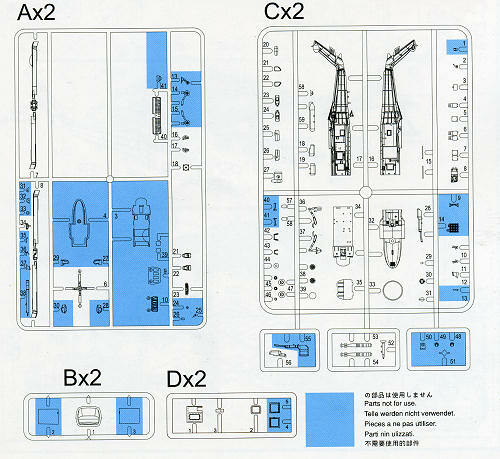 Though Dragon has mixed variants before, I believe this is the first SH-60B/F combination. As these two planes are pretty similar, there isn't a ton of unused parts. Of course, this is to use extant sprues to provide parts and in this case it is rotor blades and horizontal stab that are pulled from the second set of fuselage sprues. The Seahawk sprues provide all the needed bits and pieces and includes a nicely done cockpit section. Also provided is a nicely done cabin, complete with operator's station and additional seats. This is not the norm with 1/144 scale kits and it is very nice to see that Dragon has added in this detailing. Thanks to a separate cabin side door, you can display all the work you put into this art of the kit. The seats even have harnesses molded on them. One thing you may wish to replace is the oversized cyclic and you also may want to install the collective as none are provided. Frankly, I doubt if you could see them even if they were included. In line with other 1/144 kits from Dragon, the detailing is very well done. It may appear to be somewhat exaggerated for the scale, but once painted it does look quite nice. The entire nose section is clear plastic. This allows for hassle free clear bit installation, somewhat easier masking and the ability to fair in this part without too much worry about goofing up the clear bits. Another superb small scale kit from Dragon. These two for one boxings seem to sell quite well as the LHS generally has difficulty keeping them in stock. This set is particularly appealing as these helos are not festooned with all sorts of scabbed on antennas, dispensers and other items one often sees on modern helos. 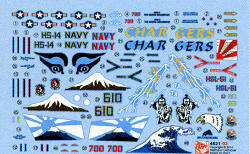 My thanks to www.dragonmodelsusa.com for the review kit. Get yours at your local shop or ask them to order it for you.